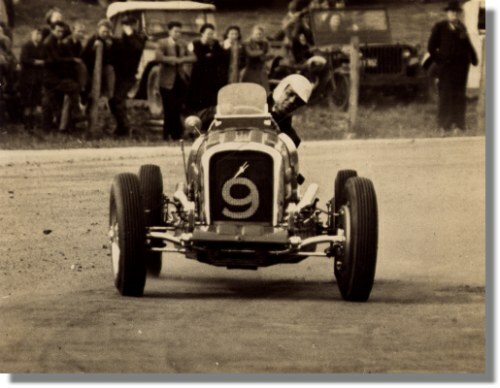 1950 Photograph - Jack Murray - Bugatti Type 39 Day Special Ford - Bathurst Races. This is a vintage press photo (i.e. 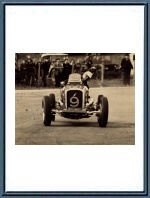 printed shortly after the picture was taken) from an Australian press agency of Jack Murray at the wheels of the Jack Days Special Bugatti Ford SC Special. This was a Ford-powered Type 39 that gradually evolved into the Day Special in the hands of Australian Jack Day. It measures some 18.5 x 14 cm or 7.3 x 5.5 inches.